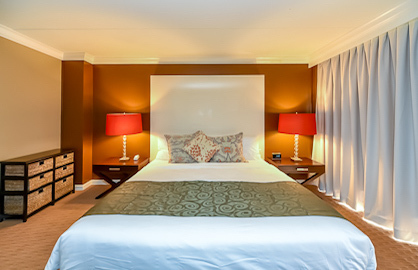 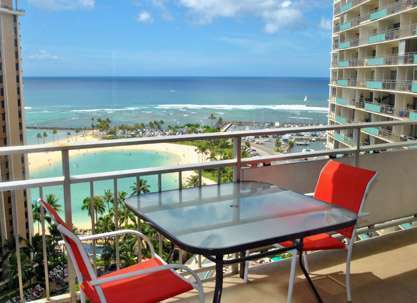 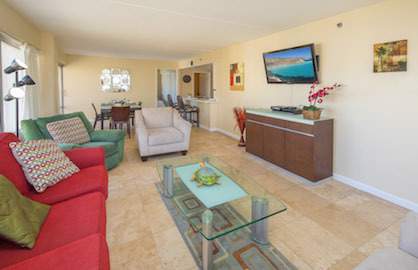 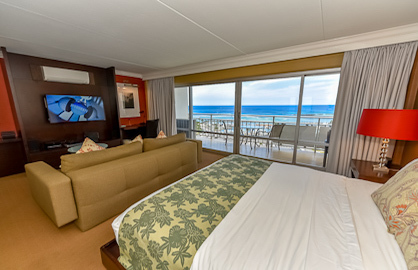 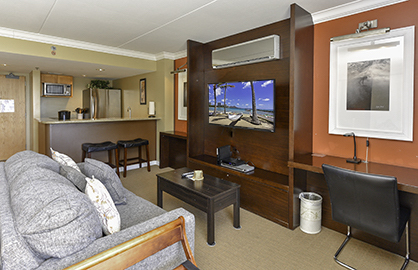 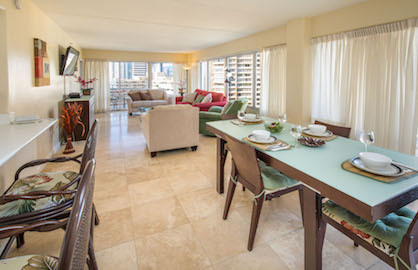 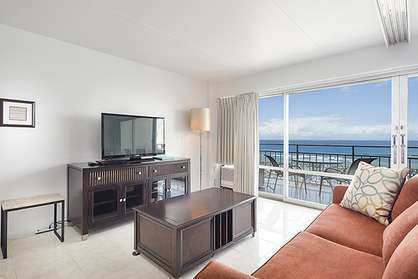 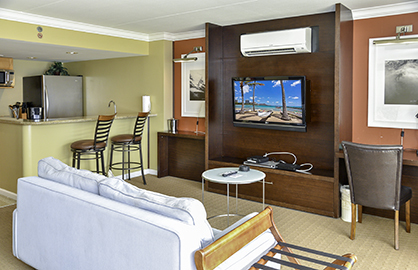 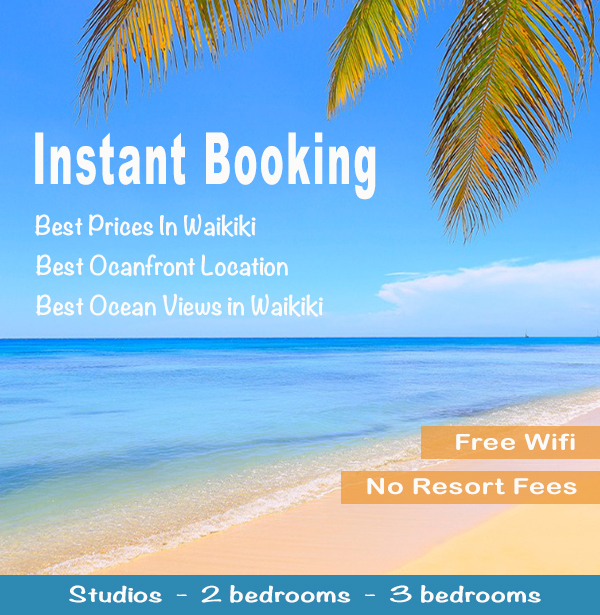 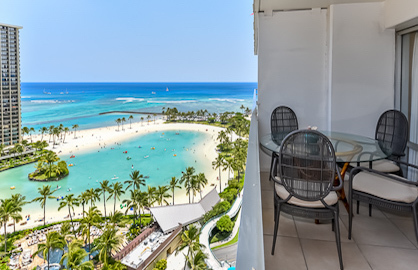 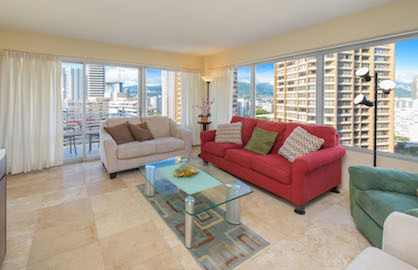 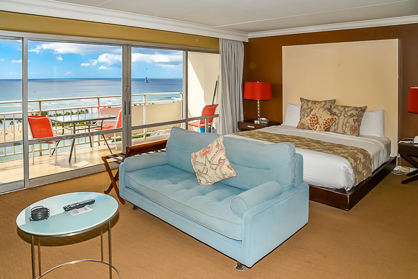 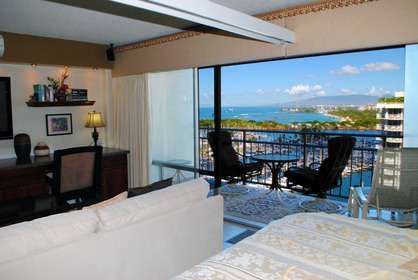 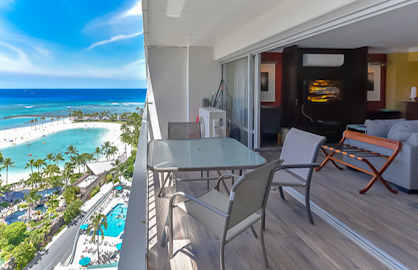 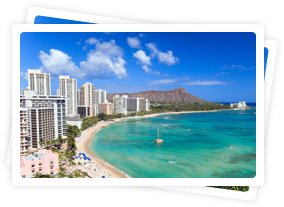 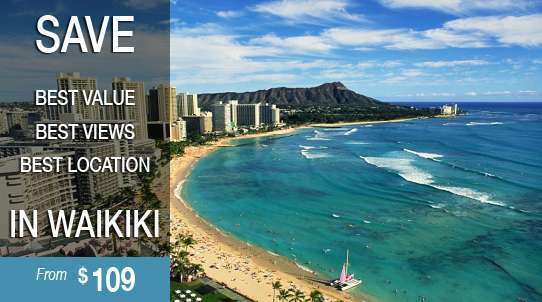 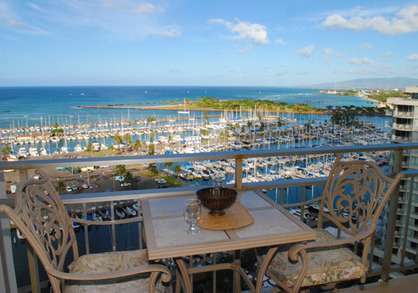 Ilikai 1735 has some of the best ocean and sunset views you can get at the Ilikai. 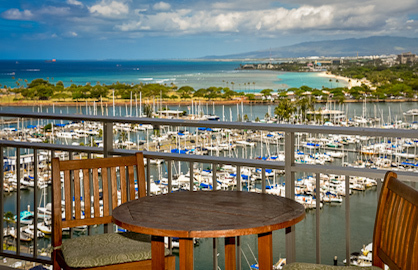 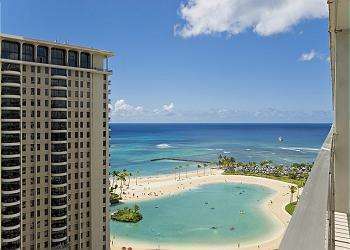 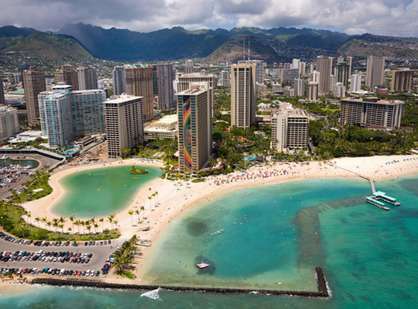 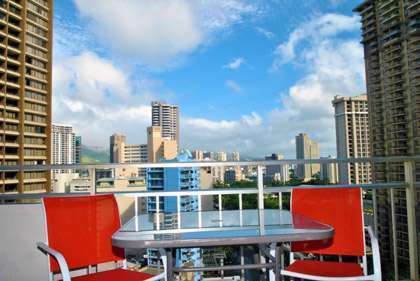 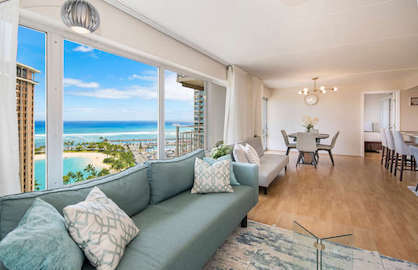 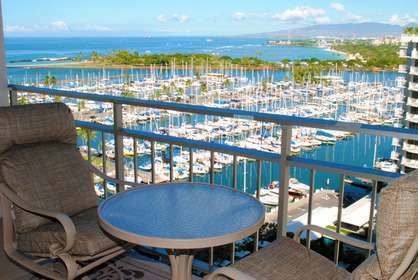 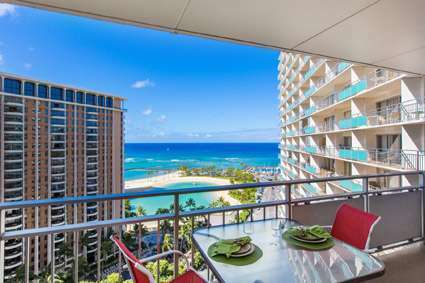 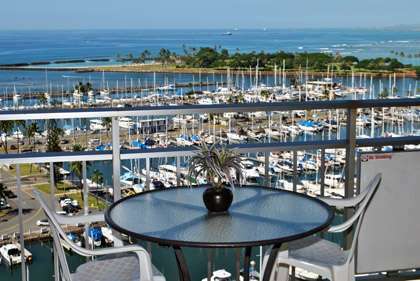 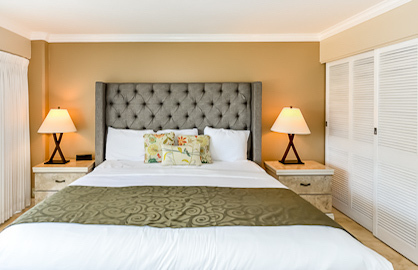 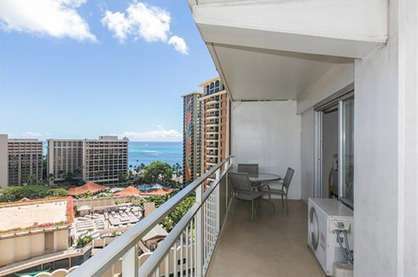 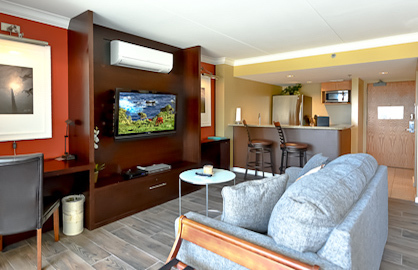 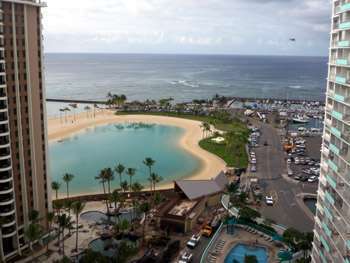 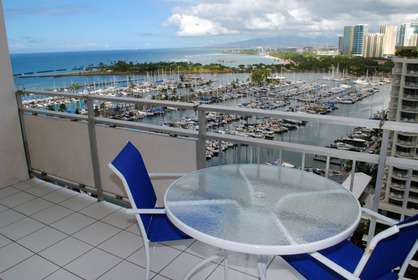 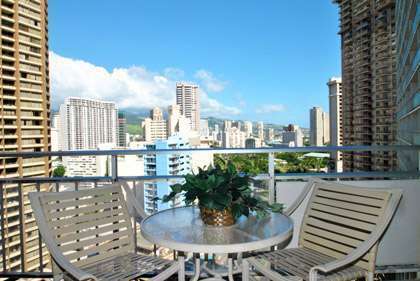 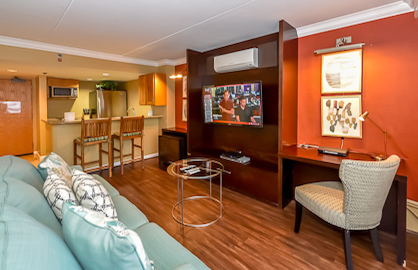 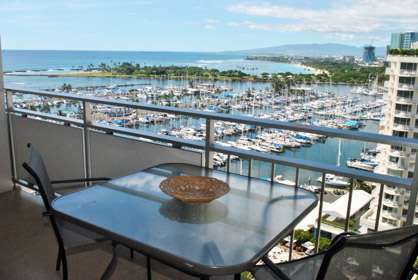 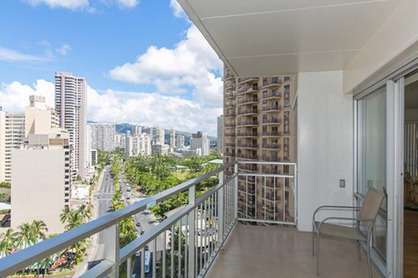 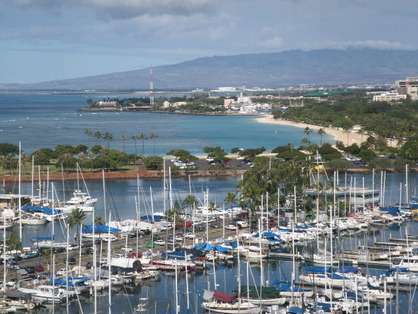 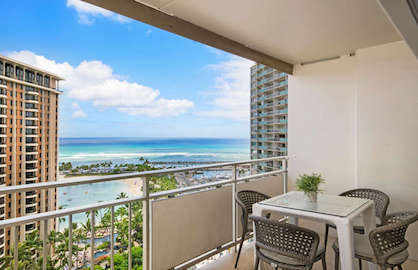 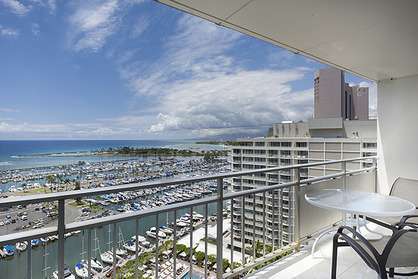 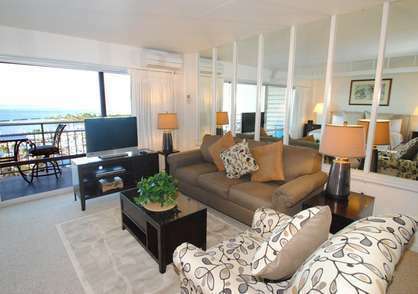 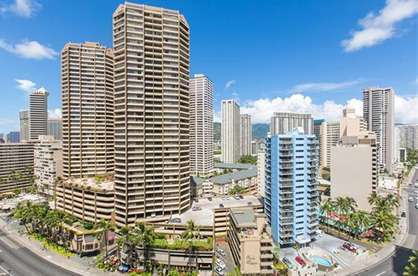 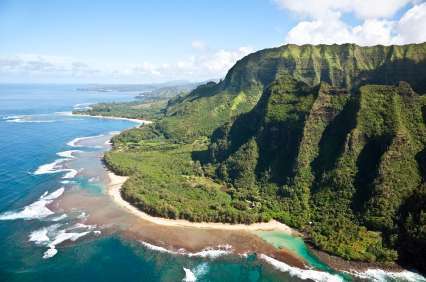 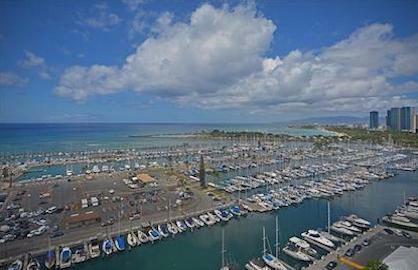 If you know the Ilikai and want the best ocean marina views, this is the unit for you. 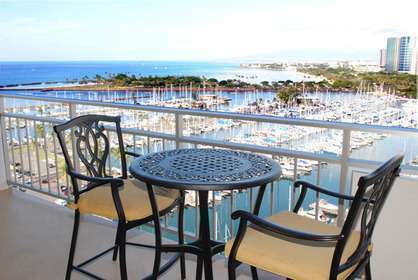 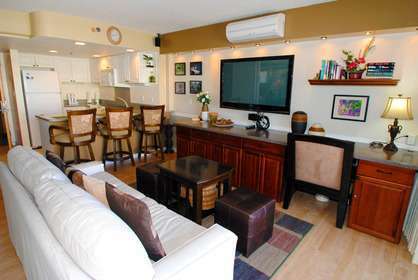 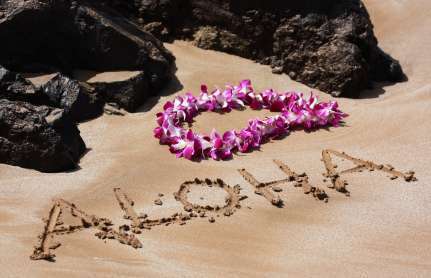 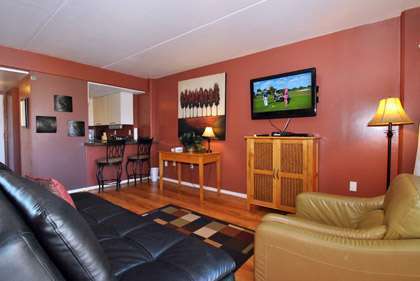 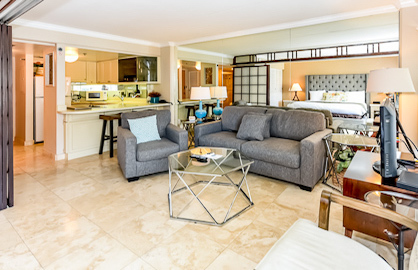 This remodeled comfortable condo is spacious at 500sf plus 120sf of lanai with awesome ocean views. 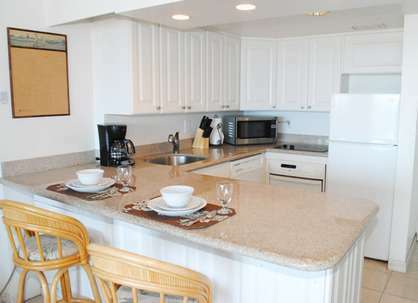 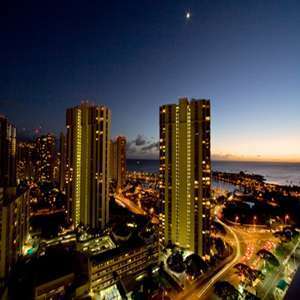 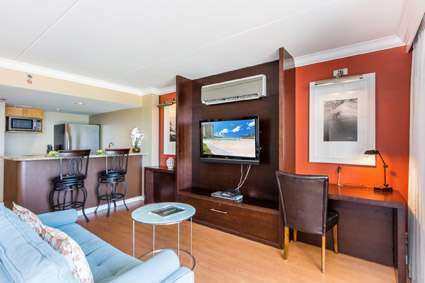 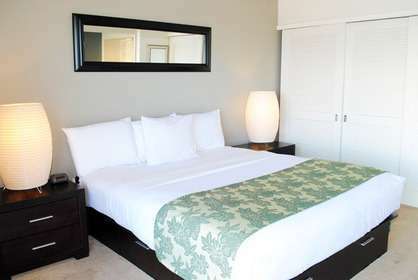 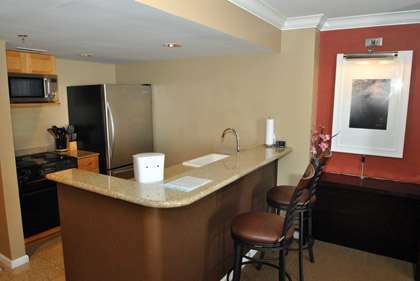 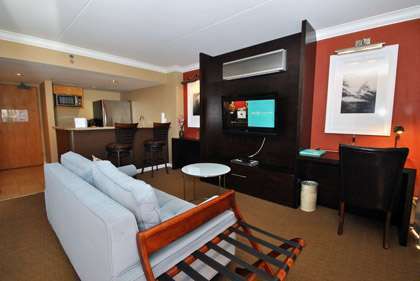 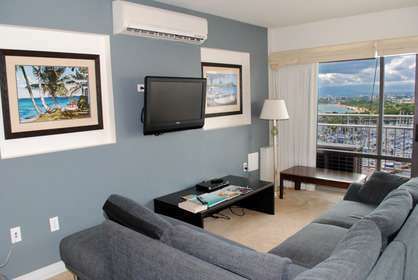 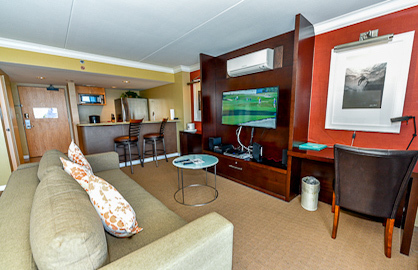 Closest 1 Bedroom Unit to Beach, Lagoon and Fireworks Show! 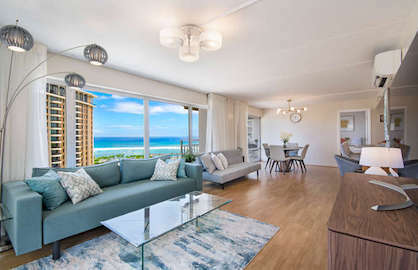 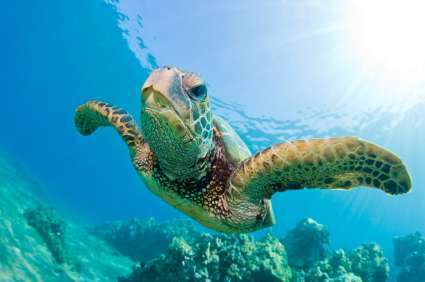 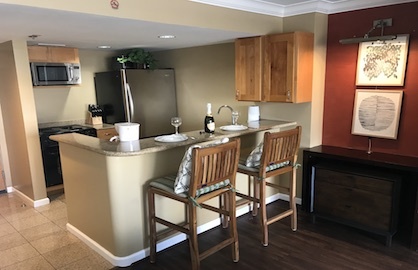 If you want a unit that is in the best location for ocean, lagoon, beach, surfers and the Friday night firework show, this is the unit for you! 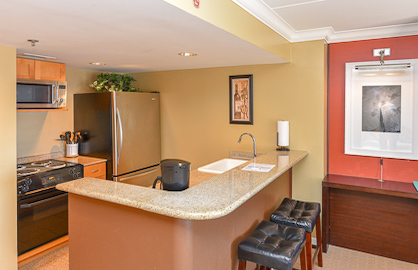 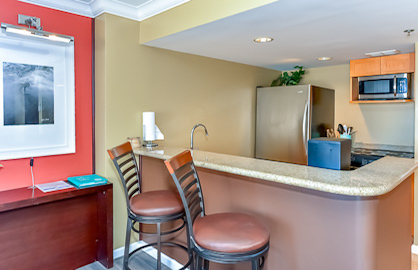 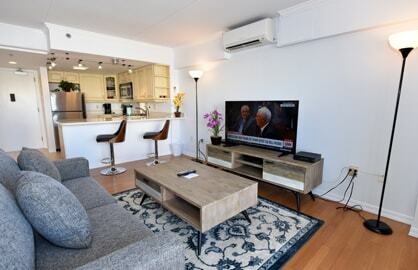 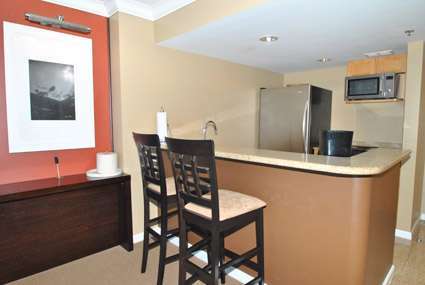 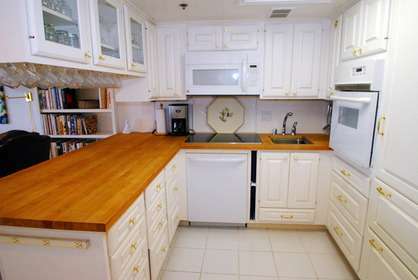 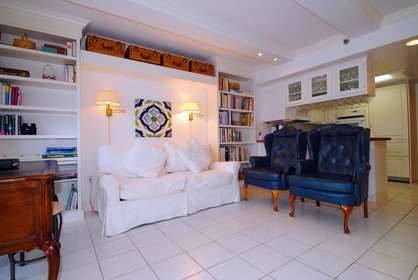 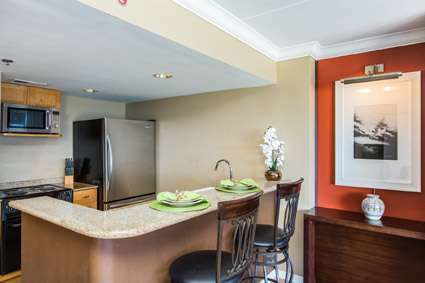 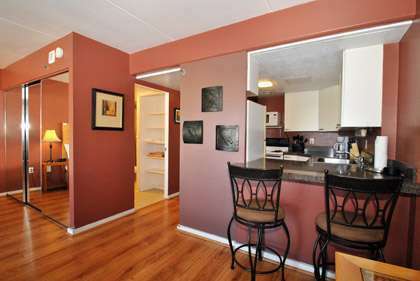 This unit has a large open kitchen with everything to prepare great meals and entertain guests. 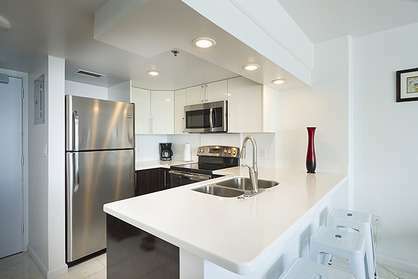 There is a small KitchenAid oven, Gagneau stove top, built-in counter grill, microwave, fridge, freezer, dishwasher etc etc. 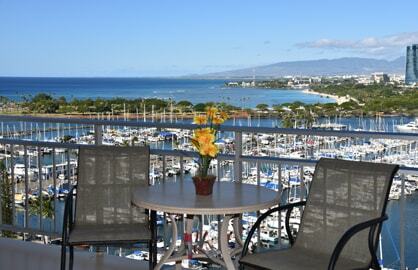 The deck is furnished for outside living and enjoyment.